What do you find to be unprofessional? How have you experienced it? 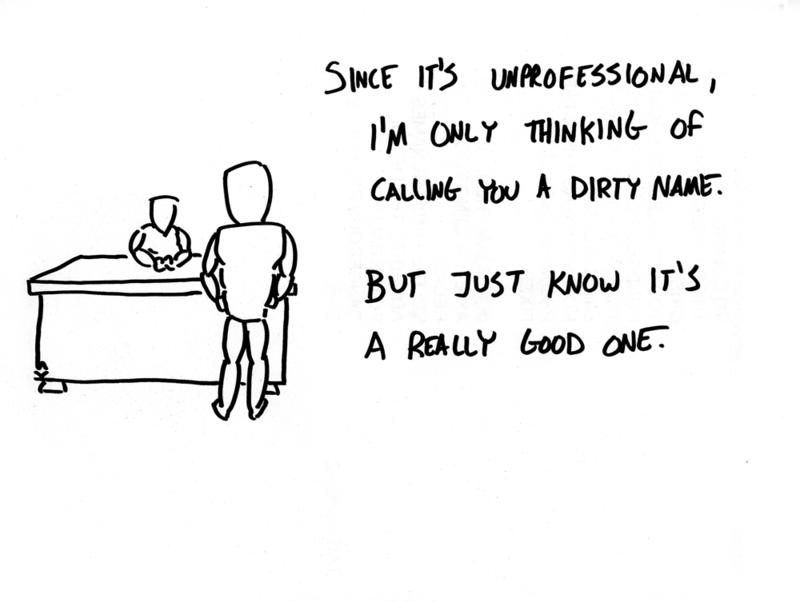 Have you ever been unprofessional yourself? So my current roommate, myself and a girl friend of mine have decided that we are going to rent a house together. We are all single so it is much easier on our wallets to do it this way. I currently live in a nice condo but we are looking for something bigger so the search has been underway now for a couple of days. We found this beautiful condo online that was posted to a realtor’s website. We wanted to schedule an appointment to see it right away. So, yesterday I called the office of the realtor and left a voicemail. I saw that he had his cell phone number listed too so I thought I would be aggressive and call his cell phone too. His phone rang but it went to voicemail so of course I left a voicemail. Not even 2 minutes later I get a text message from him saying that he passed my number onto the owners and someone should be calling me soon. Well there was no phone call from the owners. So this morning I sent him a text telling him that the owners never called and should I call them directly. He responded saying that they ended up renting it to the first person to call. Ok, first off, what professional person responds through text and secondly, he was not even going to contact me to let me know the place was rented out. Now I love me some texting I will admit but when it comes to professional business or anything dealing with my condo, my car or anything business-oriented, I always pick up the phone. Does this sort of thing happen a lot and I am still living in the dinosaur age? The current property manager that I have (which some of you may know is the daughter of the devil…she actually may be the devil herself) absolutely refuses to call and will only do her “job” via email. If I were to call her she would not answer but instead shortly after I would receive an email from her. She and I have gone head to head a few times because this woman is as unprofessional as they come. In her last email (before I refused to have any more contact with her) the subject line read: Next time fix it yourself. Every email she has sent has been filled with misspellings and she has insulted both me and the OWNERS of the condo. I have no idea who raised this woman but if they are still living they should hang their head in shame. I have a huge pet peeve with people working in the customer service field (or any field in which they deal with the public) and they blatantly act like you are inconveniencing them. A couple of years back my mother and I were going to have a garage sale so I went to the bank to get change. I went up to the counter and asked the girl for quarters…..I was asking her to do HER JOB! This girl literally rolled her eyes right in front of me and said “hold on” in a very annoyed voice. She brought me some quarters and turned and walked away. I assumed that she was finished the transaction and just didn’t want to deal with me anymore (for whatever reason I do not know) so I turned and headed out of the bank. In a complete bitchy voice the girl yells, “Un excuse maam, I am not finished here.” I’m sorry but your lack of any communication with me and blatant ignoring me indicated that you were. When the transaction was FINALLY finished I left the bank and in moments I was on the phone to her manager. I NEVER call places to complain. I do understand people get stressed and some may have bad days but this girl’s behavior was so beyond over the top. This was hands down the most unprofessional experience I have ever witnessed or been a part of. I will admit that I am not always perfect in work situations but treating someone like they are lesser of a person or that they were a complete inconvenience would NEVER be an option. I am sure that my attire was not always suitable or that I may have said something I probably shouldn’t but I am absolutely amazed at how some people hand business or professional settings. How do these people keep their jobs or get jobs in the first place? I have met people in different settings that have absolutely no filter or no couth and I always wonder how they even made it through the interview process and who is the doorknob that hired them??? This entry wasn’t meant to be a big bitchfest, I guess sometimes I still get shocked over how unprofessional some people can be. This morning I called 2 realtors about 2 properties that were just listed online for rent and left voicemails. I am curious whether or not I will receive calls back. If not, I question why they are even trying to rent the place in the first place???? Even if it has already been rented (just like a job), I believe a courtesy call to tell me that is the right thing to do. Am I being too picky about this??? Yes, I have been unprofessional in my TONE when physically and mentally exhausted. Have learned to avoid this type of situation when in a work environment, thank goodness. I find overly-flirtatious and uninvited “friendly” overtures unprofessional, especially from service personnel. Also discussion internal business in front of customers is very unprofessional. I have never seen such unpro stuff until I moved here. In 30 years we have called plumbers, carpenters, roofers, window installers, carpet people. Promises to be here and never show. Then they wonder why people do not shop local, or that we call someone from 75 miles away to do the work. “But just know it is a really good one.”…priceless…hahaha. I have experienced many different incidents in my life that range from totally unprofessional to down right judgmental and bigoted. I have found the best way to deal with this…..for me…..is to have a face to face with the “offender” and kill em with kindness and a great big smile. Worst case scenario, I feel better. Best case scenario, they feel better too and some even apologize. The saying of your picture tells me we should be professionals of our own lives, in order which we should control our emotions. Have a nice weekend!